Learn to make and demolish miniature scale models with Academy Award-winning visual effects supervisor, Ian Hunter (The Dark Knight, Inception, Blade Runner). 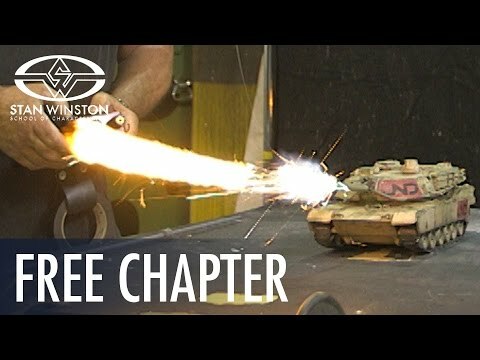 In PART TWO of his comprehensive small-scale model making webcourse series, Hunter shows you how to design, construct, detail and destroy breakaway buildings and miniatures with a variety of pyrotechnic special effects. Featuring exciting (and explosive) demonstrations with Hollywood pyrotechnics legend Richie Helmer (Jaws, Apocalypse Now, Spider-Man 2), including how to use air cannons, barrel blasts, and pyrotechnic mortars to create the illusion of epic destruction on a miniature scale.